This 14-day overland camping tour takes you through the province of Mpumalanga to Swaziland. Thereafter you cross over to Mozambique where beautiful coastal sceneries, white sandy beaches and some of Africa’s most amazing diving and snorkelling spots await you. 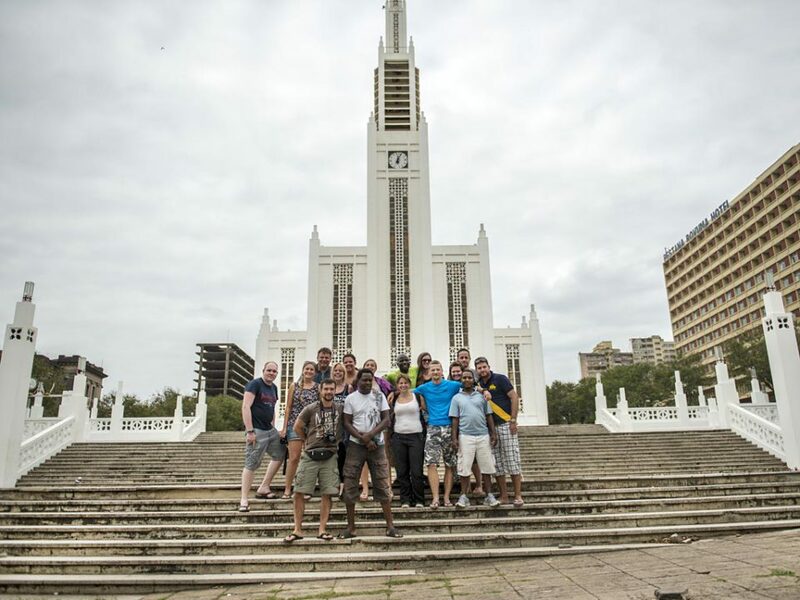 You visit the capital city of Maputo as well as the beach towns of Vilanculos and Inhambane. This tour wouldn’t be complete without a visit to the world-famous Kruger National Park in South Africa, where you will hopefully spot Africa’s ‘Big Five’. Leaving the park, you will travel along the Panorama route and then continue to Johannesburg where the tour ends. 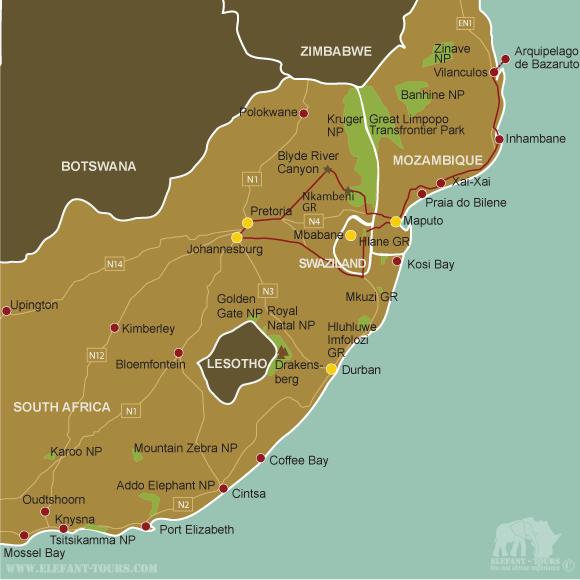 After an early departure from Johannesburg you travel through the province of Mpumalanga en route to Swaziland. After crossing the border you enter the Hlane Royal National Park, a huge nature reserve and home to lion, elephant and white rhino. Today and tomorrow you can go hiking, mountain biking or join a rhino walk (optional activities, not included in the rate). Over 30 000ha big, the Hlane Royal National Park is Swaziland’s largest protected area. Originally it was the hunting area of the Swazi royal family but it is now held in trust. Lions are in a fenced enclosure so it is possible to explore the park on foot. Tonight you will enjoy some traditional Swazi dancing (included in the rate) after dinner. Today you cross to Mozambique and then travel north towards Praia do Tofo where you will camp for two nights. You will be captivated by the beautiful coastal scenery. There’s plenty to do in Tofo: relax on the beach and swim. Go diving with whale sharks, canoeing or horse riding (all optional activities, not included in the rate). In season, Tofo is one of the world’s best sites for viewing the world’s largest fish, the whale shark. Today is at leisure and you can go snorkeling, scuba diving, fishing, surfing, join an ocean or a kayak safari (optional activities, not included in the rate) or just relax on the beautiful white sandy beach and swim in the warm ocean. 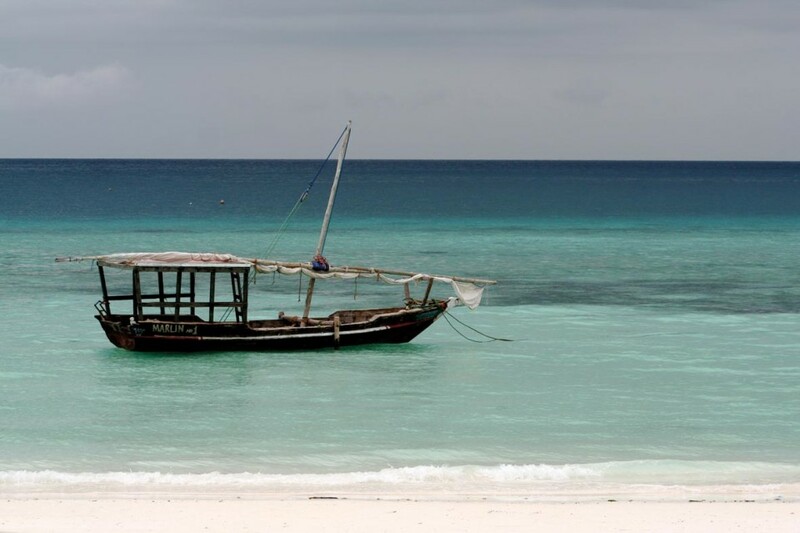 The Bazaruto Archipelago is Mozambique’s premier destination. 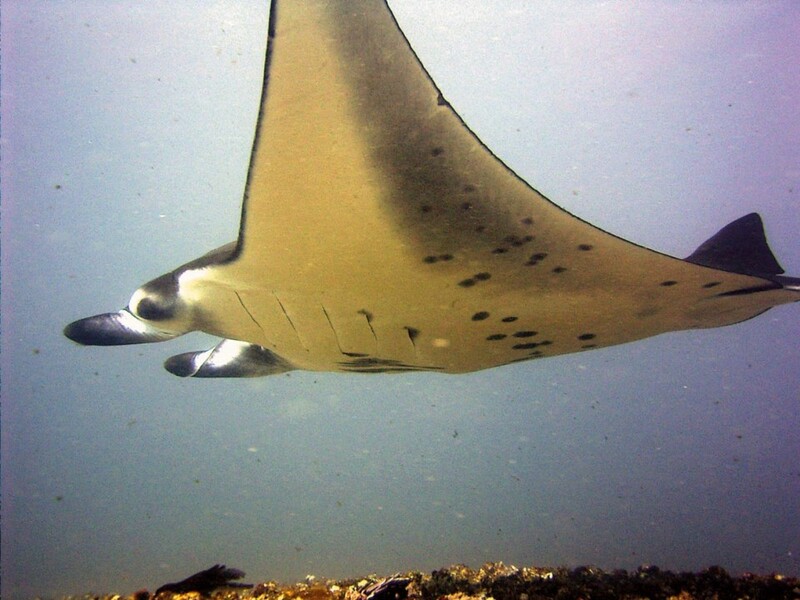 It is a protected marine reserve and the sea-life around this cluster of islands is spectacular and snorkelling on the reefs is one of the best ways to enjoy it. On the way to Vilanculos you will stop at a local craft market to do some souvenir shopping. The Bazaruto excursion is done on the traditional sailing vessel of the African East Coast, the dhow. You sail to the islands where you have the opportunity to snorkel, swim and relax over these two days. You will spend the nights in tents at a camp on the beach. The second day of this oceanic excursion is again spent in the crystal clear waters of the Indian Ocean with its abundant sea-life. On the rare occasion that the weather may be unfavorable the transfer by dhow will be replace with a more conventional boat. Today you travel through coconut plantations to the old Portuguese settlement of Inhambane. This relaxed coastal region has incredible beaches and clear warm water. Activities here include fishing, horse riding, scuba diving, quad biking and snorkelling. These activities are not included in the rate. Today you travel south towards Mozambique’s capital, Maputo. 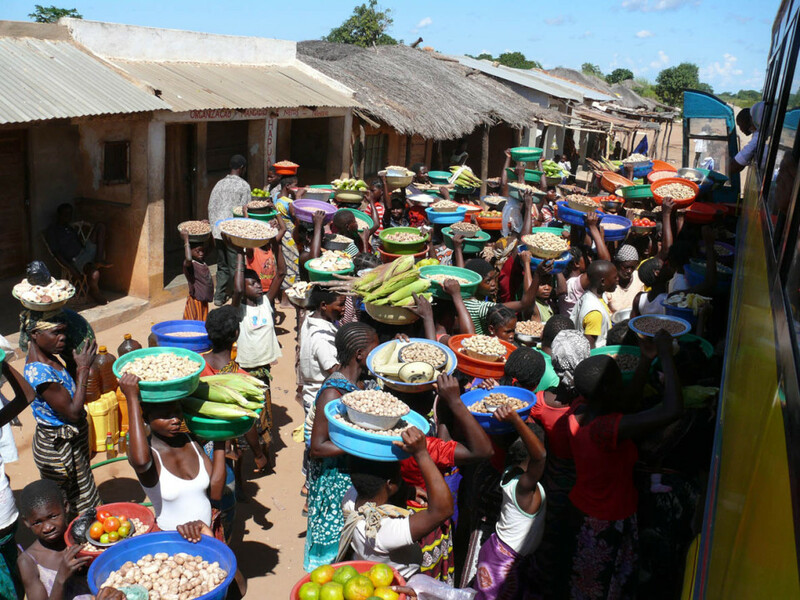 Mozambique gained independence from the Portugal in 1975 but is still undergoing renovations after the civil war. Taste fresh seafood and explore the markets. Passing through Maputo you return to South Africa and continue to the world-famous Kruger National Park, where you will hopefully be able to spot Africa’s ‘Big Five’. This reserve is the most famous nature conservation area in the world and two nights are spent in this magnificent area. Informative early morning game walks and night drives (accompanied by a ranger) are offered as an option and not included in the rate. Today the trip takes you to the Moholoholo Wildlife Rehabilitation Centre, where animals are being re-habilitated before being released back into the wild. In the evening you enjoy some traditional tribal singing and dancing along with a typical South African meal. Travelling along the Panorama route you stop at the natural phenomena of the Blyde River Canyon and Bourke's Luck Potholes. Thereafter you continue to reach Johannesburg in the afternoon. 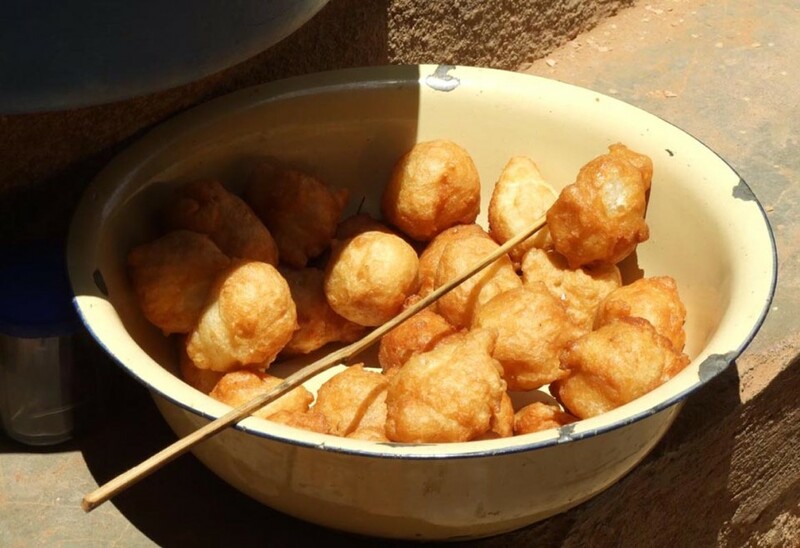 Johannesburg has many excellent restaurants and the group often spends this evening together with a dinner at own expense. - 9 nights are spent in spacious 2-man dome tents (2,2 x 2,2m) on campsites with good ablution and other facilities. - 4 nights are spent in twin rooms at nice camps/lodges.